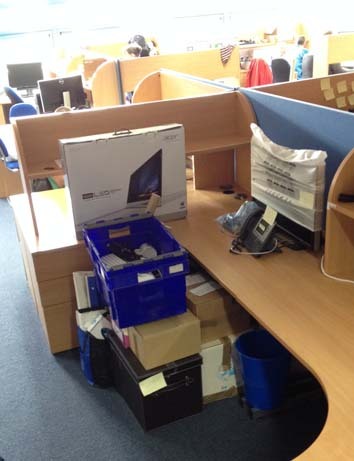 Ready for the move into the new CTIR building, Team Jalview’s possession are packed. The Division of Computational Biology is moving to level 2 of the CTIR (Centre for Translational and Interdisciplinary Research). The centre has been designed to facilitate innovative discovery and translational research by reducing barriers between scientific disciplines.